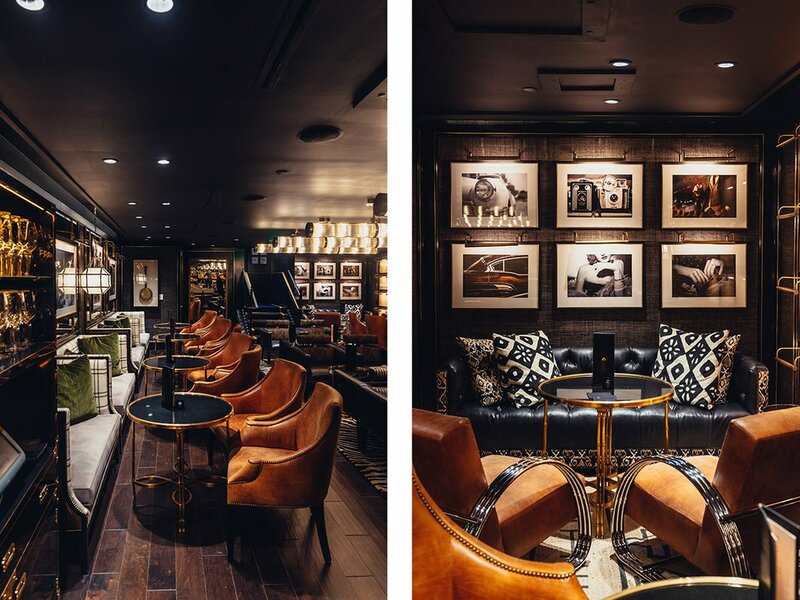 When you need a break from the slopes, these new-to-Aspen offerings will keep you more than occupied. 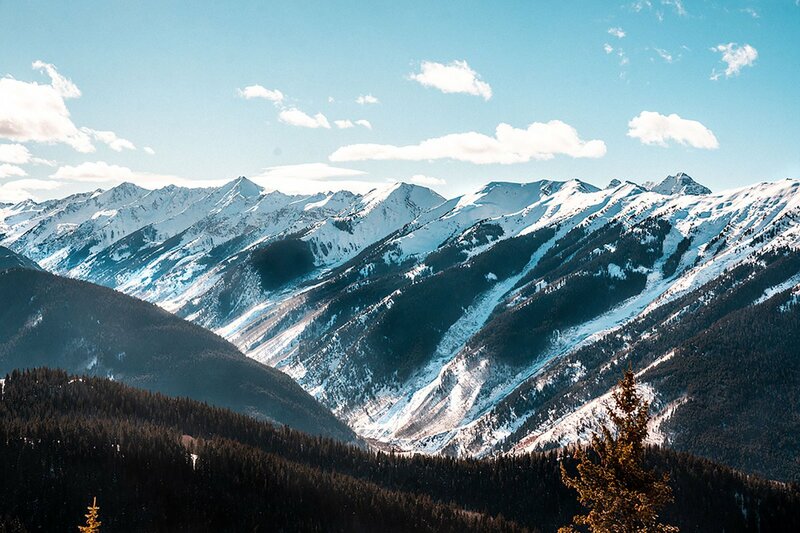 ASPEN, Colorado – My first trip to Aspen reads like something out of a sultan's winter vacation playbook. I was invited for the opening of the much-anticipated Eleven Madison Park Winter House, a partnership with American Express Travel, who hosted my weekend and arranged my rich menu of experiences through their travel and lifestyle counselor service. I went dog sledding with a team of larger-than-life pups from the outfitters at Krabloonik — and this is now my preferred method of scaling alpine peaks. I huffed and hiked up Aspen Mountain on snowshoes, which was breathtaking in all senses of the word. 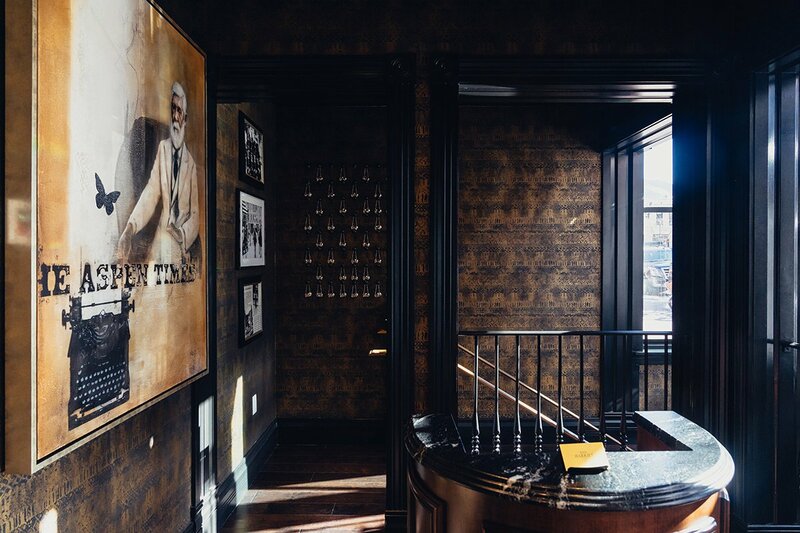 I wined and dined like I ran a Fortune 500 firm at the city’s best bars and restaurants, including Prospect at Hotel Jerome, the epic wine cellar at The Little Nell, and the members-only Caribou Club. And I stayed at the St. Regis Aspen (one of AmEx's Fine Hotels & Resorts), where the spa and (very handy) oxygen bar, spacious rooms with cozy fireplaces, daily champagne sabering toasts, and heated and (highly Instagrammable) outdoor pool are but a few reasons why it’s consistently rated one of the best in town. St. Regis Aspen also home to the EMP Winter House. 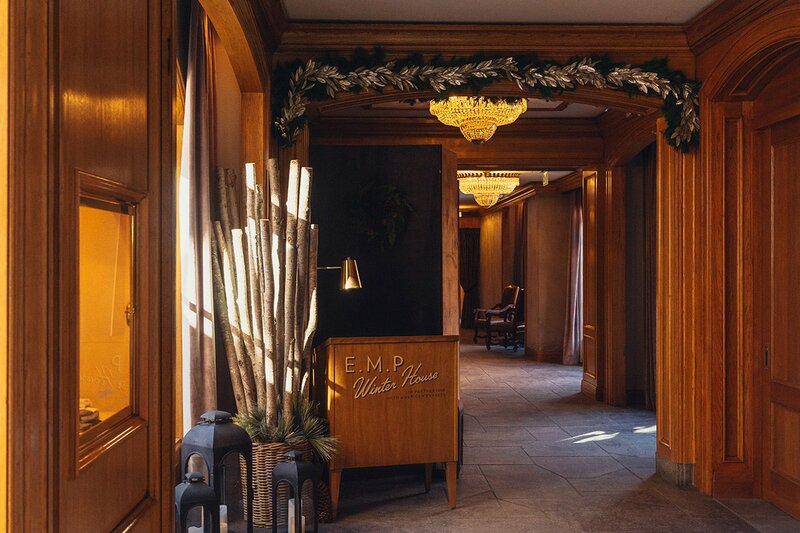 In between what turned out to be a run-through of Aspen’s greatest hits, I took note of what's new and noteworthy this season..
EMP Winter House at St. Regis Aspen. Photo by Daniel Schwartz. 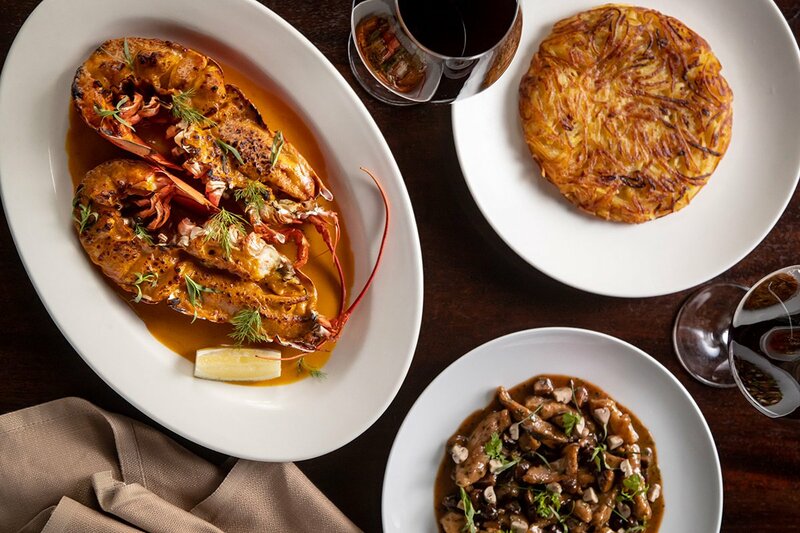 Lobster thermidor and Zurich-style schnitzel. Photo courtesy of EMP Winter House in partnership with American Express. Expect decadent classics like fruits de mer, black truffle-lined foie gras, and chicken schnitzel bathed in a heavenly mushroom cream sauce in the indoor dining room, and loads of fondue and cocktails in the yurts out back, which can be booked for private dinners, including large-format family meals. (The restaurant’s famous hot dog cart will also make appearances in the yurt village.) The pop up also offers an après-ski menu in the afternoons. EMP Winter House runs through April 21 and is only available to American Express card holders as part of their program of exclusive dining experiences. Charming Austin, Texas, hotspot Clark’s Oyster Bar brought their fantastic raw bar, delicious cocktails, and a handsome dining room (this one more alpine- than dockyard-inspired) to the former Little Annie’s space on East Hyman. They kept Little Annie’s handsome mahogany bar and brought their signature pan-fried burger — reasons enough to make a full night of it. Inside Clark's Aspen. Photo courtesy of Clark's Aspen. The entrance to Bad Harriet in the old Aspen Times building. Photo by Daniel Schwartz. Aspen restaurateur Jimmy Yeager partnered with chefs David Wang and Kiyong Kim to bring an Asian street food-inspired pop-up to the space that used to house Bodega, whose seafood menu has been incorporated into the offerings at restaurant Jimmy’s around the corner. The menu, which mixes the likes of Szechuan wontons, Taiwanese beef noodles, and Korean bulgogi with Asian beers, sake, and wine, will pay extra attention to Japan in January and China in February and will be open through the summer. Aspen’s first supper club, named for its elevation, aims to bring elevated dining to the masses. This being Aspen, "the masses" refers to those who don’t mind the thought of a $28 Wagyu burger for dinner. Chopped chef Craig Walker is behind the luxurious comfort food menu, local designer Kristin Dittmar did the clubby dining room decor, and resident DJ Bryan Normand (Kid Kamillion) spins on the regular. 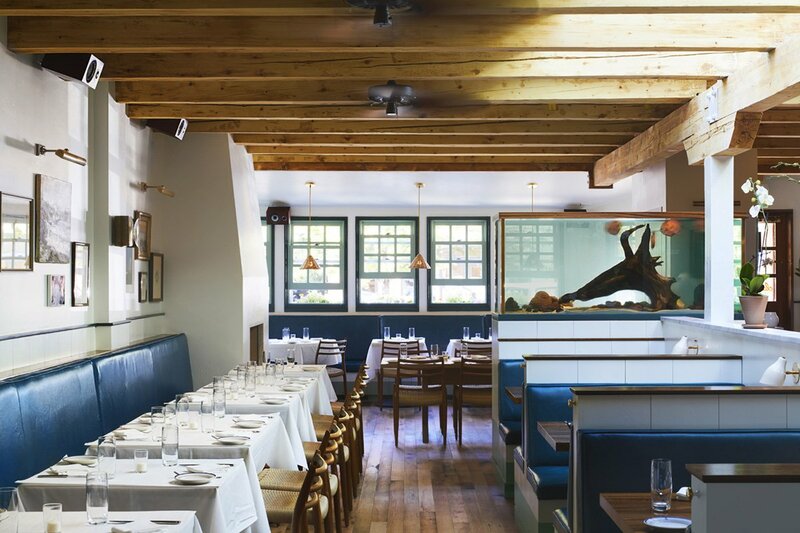 French pan-American cuisine — translation: seared foie gras raviolo, striped bass wrapped in yuca, black angus picanha, and exquisite French desserts — comes by way of chef Laurent Cantineaux of St. Barth’s Bonito. The setting is the second floor of a Victorian mountain cottage revamped by co-owner and architect Juan Carlos Pérez Febres that features a ten-person chef’s table and a large patio with firepits and impressive views of Ajax Mountain. Inside Bad Harriet. Photos by Daniel Schwartz. The dinning room at 7908. Photo courtesy of 7908. 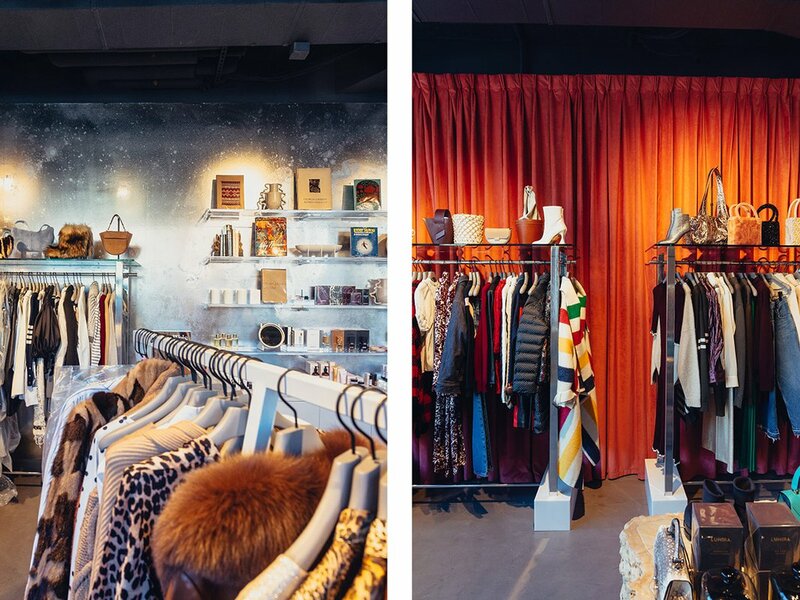 The latest outpost of the exceptionally curated, Dallas-born fashion and design boutique specializes in luxurious women’s ready-to-wear and precious design objects. Stop in to pick up something famously whimsical to wear to dinner, or just to pick up souvenirs. Expect to stay a while. A visit to refugee camps in Kenya and Rwanda with Malala Yousafzai inspired founder Stacey Boyd to open a shop that stands for something, where twenty percent of all purchases of high-end women’s apparel and beauty, skincare, and wellness products goes to support girls’ education efforts through non-profits such as CARE, Too Young to Wed, and the Malala Fund. There’s nothing like a luxurious, German-engineered trunk to haul back all the expensive Aspen souvenirs you didn’t plan to but just had to buy. 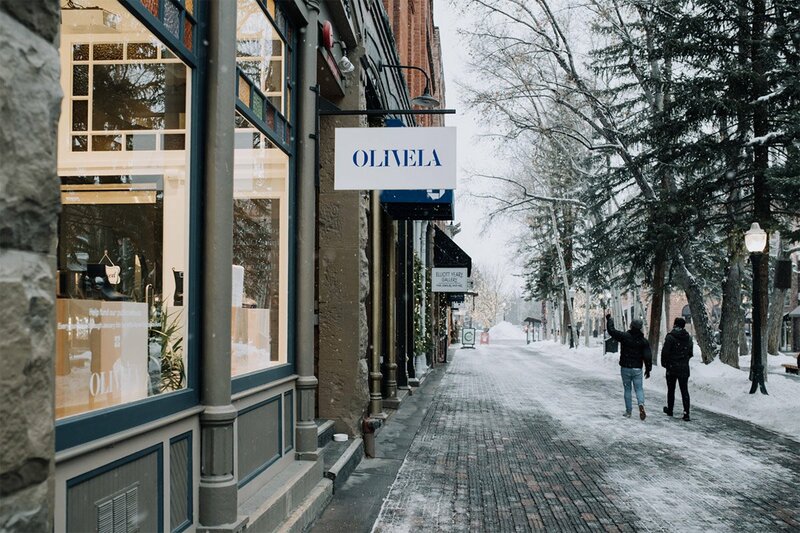 Look no further than the gallery-like Rimowa winter pop-up, appropriately located down the block from Aspen Art Museum, for your extra check-in of choice. Pick up a custom luggage tag or Aspen city sticker to ensure your suitcase really pops at baggage claim. Open through April 2019. Outside Olivela. Photo courtesy of Olivela. 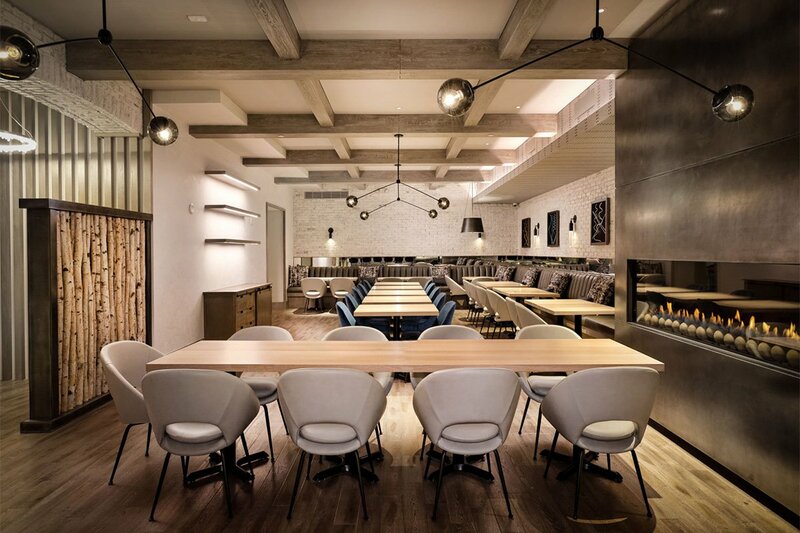 Forty Five Ten's Aspen outpost. Photos by Daniel Schwartz. Though Marianne Boesky’s outpost of her fantastic NYC gallery isn’t exactly fresh on the Aspen scene (it opened in 2017), there’s always a reason to stop in, whether it’s to check out the latest artists on show or just to marvel at the streamlined space, designed by esteemed art-world architect Annabelle Selldorf of the Neue Gallery, Frick Collection, and Gagosian galleries. To celebrate the 100th anniversary of Bauhaus, local organizations such as Aspen Institute, Anderson Ranch Arts Center, and Aspen Art Museum are hosting a slew of activities and exhibitions until August with a particular focus on Bauhaus artist, architect, and designer Herbert Bayer, who arrived in Aspen in 1946 and whose work shaped the city and Roaring Fork Valley at large. 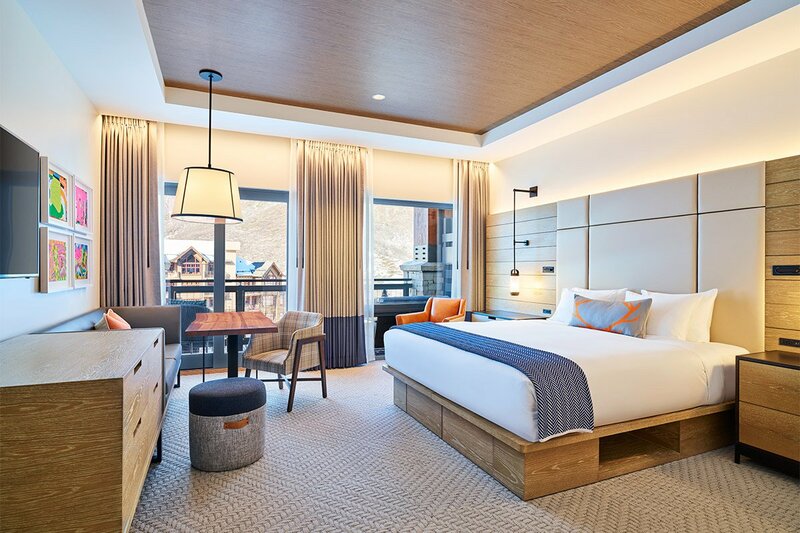 Aspen’s hip, laid-back, pet-friendly hotel gets a Snowmass sibling with ski-in/ski-out access, an impressive, five-story climbing wall, a full-service lounge that does après-ski and beer dinners, a skating rink in front of the property, more than a hundred freshly designed rooms, and a decidedly family-friendly vibe. 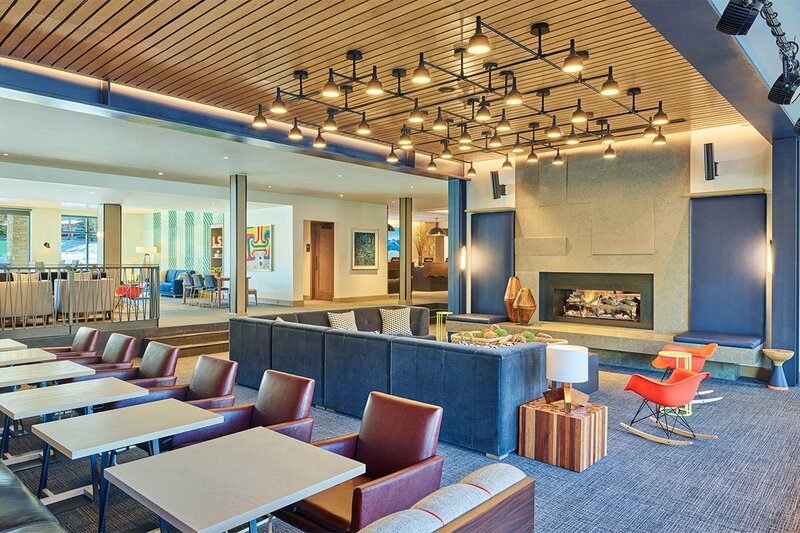 The former Kimpton Sky Hotel is being remodeled by Nemaworkshop, local firm Rowland + Broughton Architecture, and the W Hotels team into an 88-key, posh, mountain chalet inspired by the ‘70s. The hotel, which will have an underground nightclub and an all-weather rooftop terrace with fire pits, is slated to open in June.